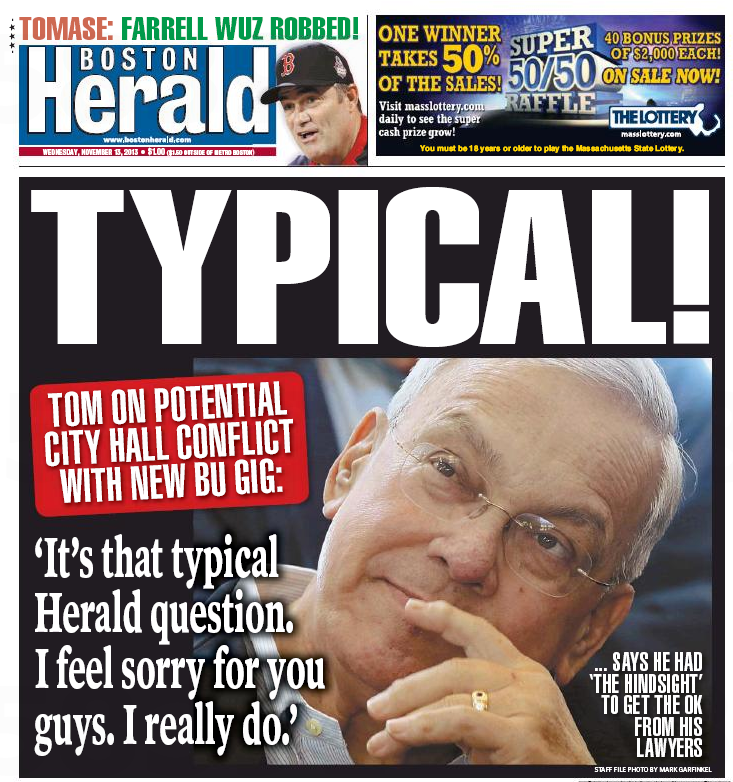 What will the Boston Herald do when Tom Menino vacates the corner office at City Hall? Inside, Menino sort of answers the question. 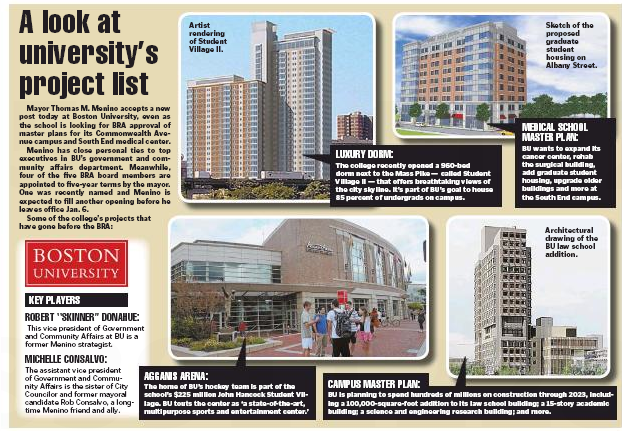 Mayor Thomas M. Men­ino brushed off conflict-of-interest concerns about his new Boston University gig as a “typical Herald question,” even as the school — which has enjoyed a building boom during his administration — is seeking approval from the Menino-appointed BRA to develop its Commonwealth Avenue campus and South End medical facilities. State ethics laws say elected officials should avoid even the appearance of a conflict. Menino, who faced similar scrutiny while considering a job at Harvard University, cut a Herald reporter off halfway through the BRA question. • A 27,800-square-foot addition to the Moakley Cancer Center at Boston Medical Center, also up for approval tomorrow. So no conflict of interest there? You can almost hear Menino thinking, How does that conflict with my interests? Ouch. 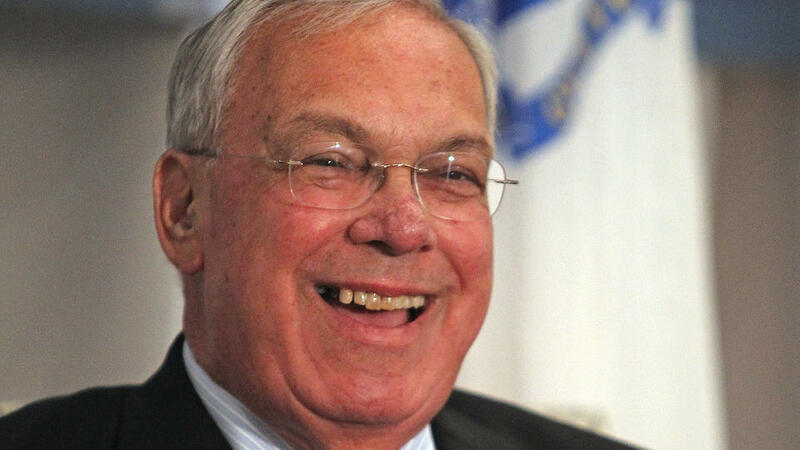 When does the statue of Menino kicking the Kevin White statue in the shins go up in front of Faneuil Hall? 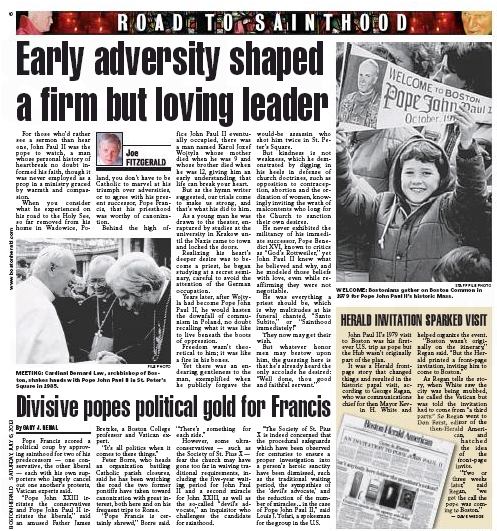 You know that visit to Boston Pope John Paul II made in 1979? 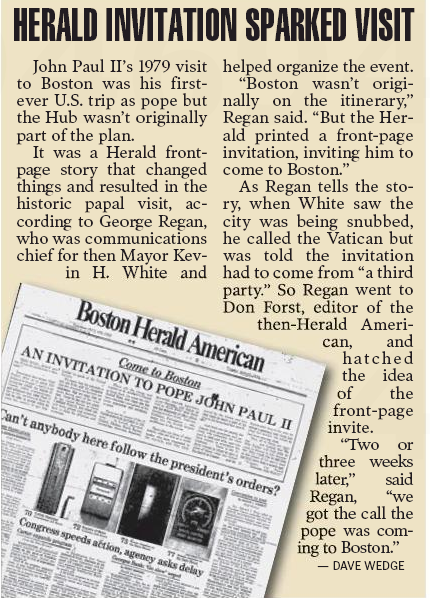 Turns out it was all the Boston Herald’s doing. So forever-orange-tinted George Regan says it was, well, George Regan who got it done back in ’79. And orange we glad he did.